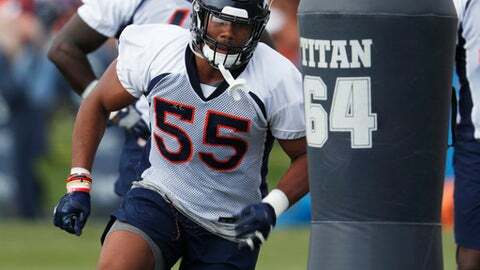 ENGLEWOOD, Colo. (AP) The Denver Broncos are singing the praises of rookie outside linebacker Bradley Chubb even if carrying a tune isn’t necessarily his specialty. About his singing: Turns out Sutton and Chubb elected to do a number together for their teammates. Sutton presented several songs and Chubb didn’t know any of them. Finally, they found common ground with ”Can You Stand the Rain,” a ballad by New Edition . It went rather smooth, outside of a few lapses on lyrics.